Know Vallivue High Class of 1969 graduates that are NOT on this List? Help us Update the 1969 Class List by adding missing names. Class of '69 reunion is scheduled for August 1st at Louie's, 2500 E Fairview, Meridian from 6-10 p.m. You may order from the menu and there will be bar service. Dressy-casual wear or whatever is comfortable. Friday night, July 31st, we will also get together for a casual night at Ridgecrest Golf clubhouse, 3730 Ridgecrest Dr, Nampa (off of 11th Ave) from 6 to whatever. We would like to have another reunion in 5 years so plan on bring $5 for a donation! 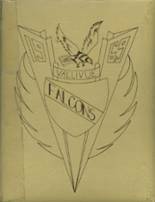 More 1969 alumni from Vallivue HS have posted profiles on Classmates.com®. Click here to register for free at Classmates.com® and view other 1969 alumni. The students that went to school at the Caldwell high school called Vallivue High School and graduated in '69 are on this page. Register to add your name to the class of 1969 graduates list.